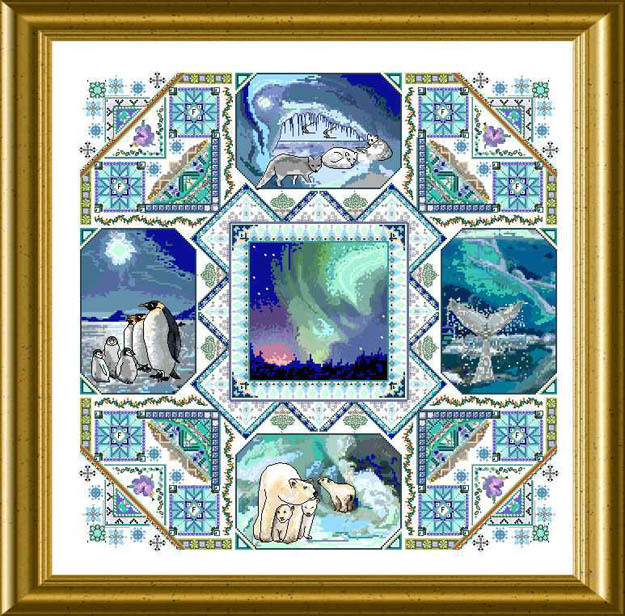 Animals, nature, light , ice and the different moods of the colors are represented in this arctic landscape. Mainly cross stitch but specialty stitches and threads are also used. Count: 295 x 295. 36 points will be rewarded to you when you buy this item. You must be a registered customer to receive points.